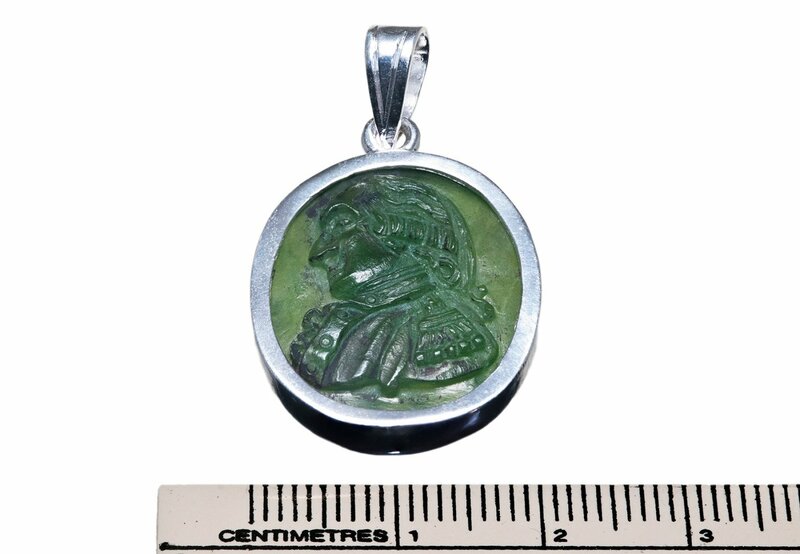 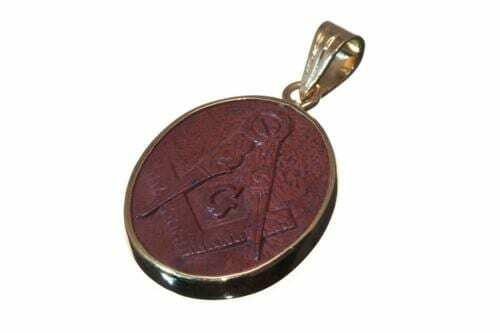 George Washington Pendant. 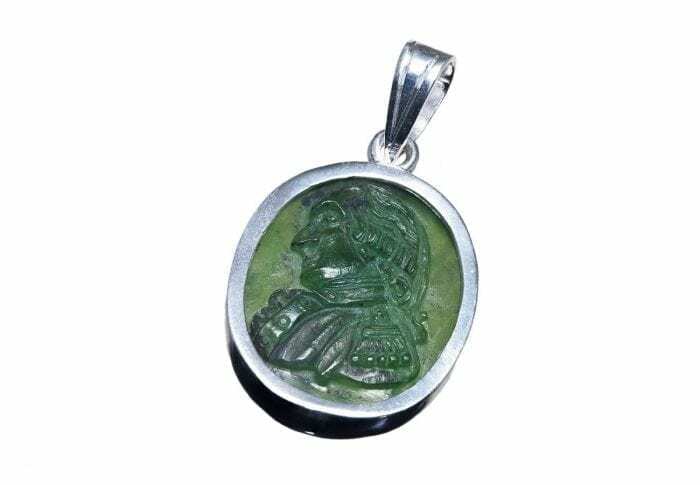 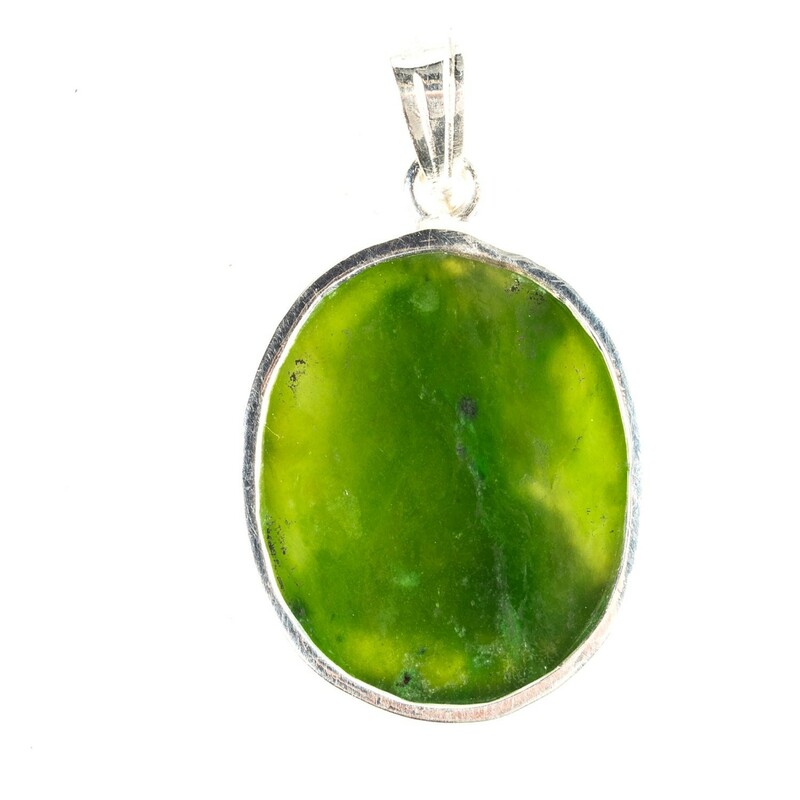 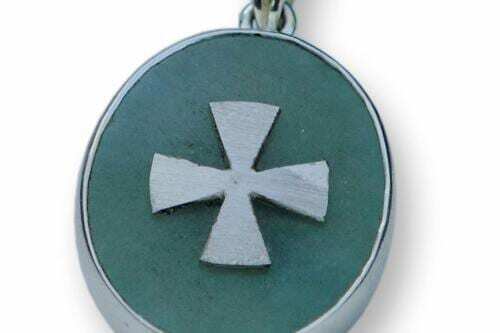 We hand carved to an oval of high quality Canada jade held in an enclosed open back sterling silver encasement. 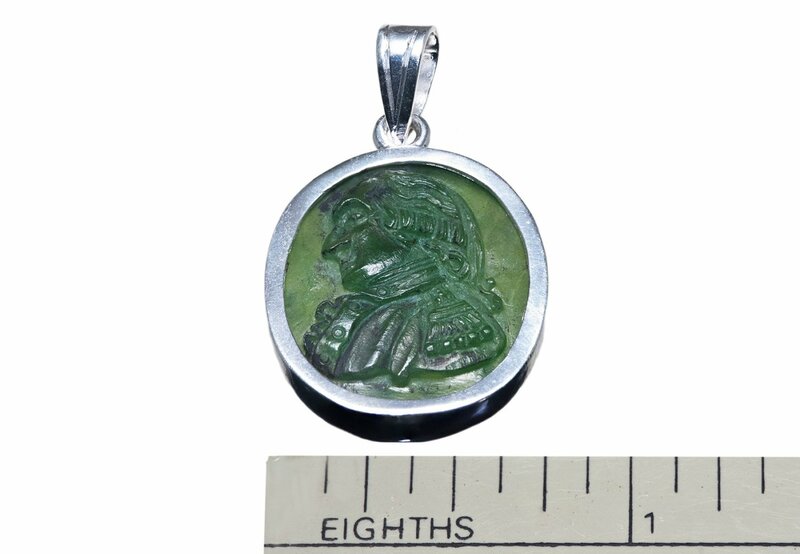 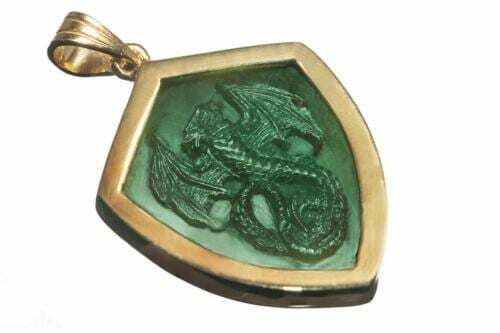 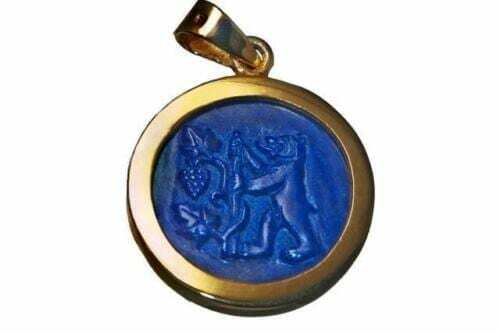 This interesting Regnas George Washington pendant with its heraldic design is suitable to be worn by ladies as well as men.